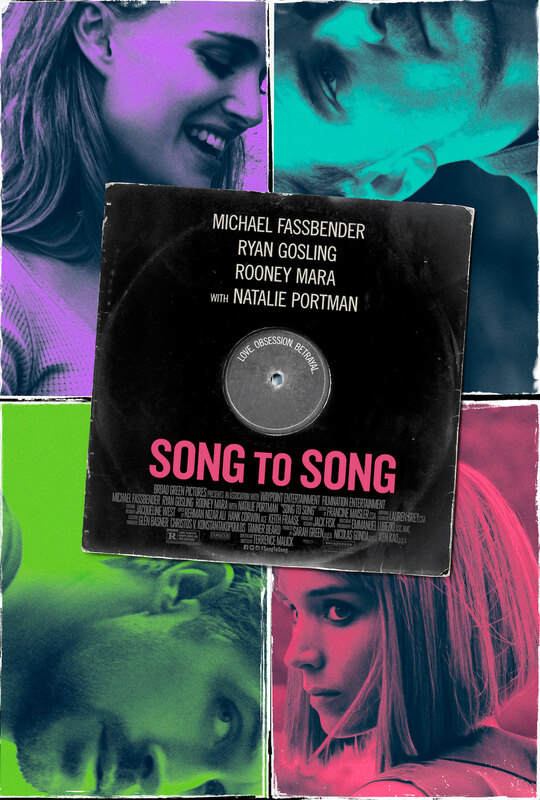 Broad Green Pictures has just released the Song to Song trailer and, in the player below, you can take a look at the latest film from acclaimed director Terrence Malick (Tree of Life, Days of Heaven, Knight of Cups). Formally known as Weightless, Song to Song stars Ryan Gosling, Michael Fassbender, Rooney Mara and Natalie Portman. There’s also a new poster for the March 17 release, which you can check out in the gallery viewer at the bottom of this page. Song to Song a modern love story set against the Austin, Texas music scene, two entangled couples — struggling songwriters Faye (Mara) and BV (Gosling), and music mogul Cook (Fassbender) and the waitress whom he ensnares (Portman) — chase success through a rock ‘n’ roll landscape of seduction and betrayal. Also slated to appear in Song to Song as of this writing (Malick is notorious for cutting actors out of his films) are Christian Bale, Cate Blanchett, Benicio Del Toro, Boyd Holbrook, Val Kilmer, Bérénice Marlohe and Holly Hunter. Popular musicians such as Patti Smith, Lykke Li, the Black Lips, Iggy Pop, Florence and the Machine and the Red Hot Chili Peppers will also cameo in the film. Song to Song is written and directed by Malick, and produced by Sarah Green, Ken Kao and Nicolas Gonda, with Academy Award-winning cinematographer Emmanuel Lubezki (Gravity, Birdman, The Revenant) serving as director of photography. 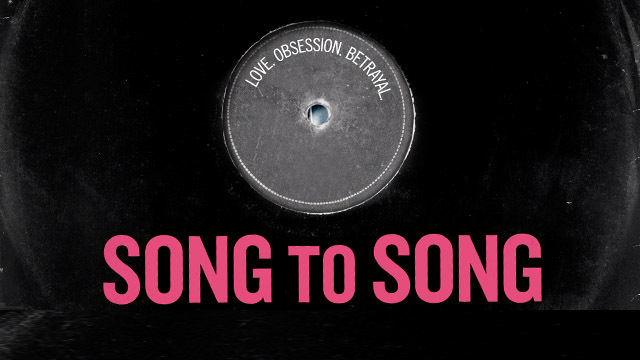 What do you think of the Song to Song trailer? Are you planning to check this one out in theaters? Let us know your thoughts in the comments below!